For being as all-things-beauty-obsessed as I am (open my bathroom cabinet at your own risk), I still wonder whether my minimalist approach to makeup disqualifies me from any real product expertise as an editor. A strong distaste for waking up early might be a factor in my daily 10-minutes-or-less face—on average, excluding skin care—but truth be told, a product rut might be to blame as well. Am I exceptionally loyal to a select few brands, or just lazy to a fault? In order to overcome the budding lack of confidence in my beauty routine, I decide to consult one of fashion’s most beloved and respected makeup artists: Tom Pecheux. The YSL global beauty director—and one of the loveliest people in the industry—agreed to sit down with me and the (haphazard) contents of my makeup bag just before the holidays. I brought along only the products I use on an everyday basis—meaning my electric blue eyeliner and favorite magenta shadow stayed at home—so that he could decipher whether or not I had a regimen that fit my makeup goals, what I needed to invest in, and essentially help transform me into the glowiest version of myself. As you can see, no foundation, no eyeliner, and if I’m running late to work, rarely any shadow. Lots of cream formulas, highlight, and extra attention to my brows. Again, not discounting the four other drawers of products that I play around with on weekends or mornings when I’m craving a little bit of oomph makeup-wise. 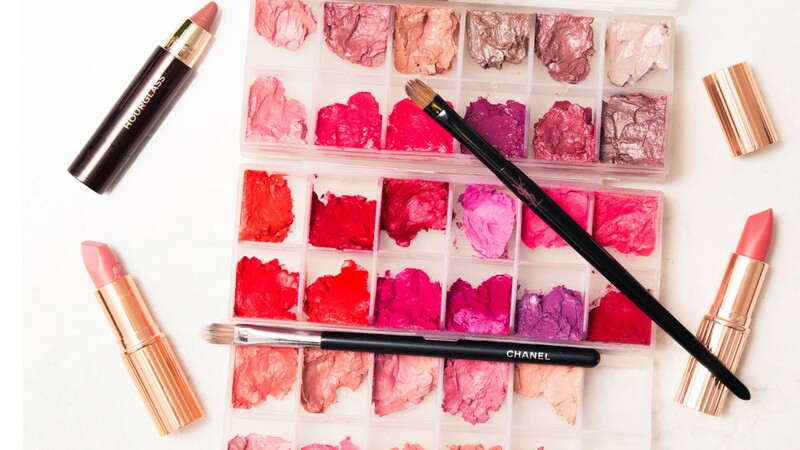 Read on to learn everything Tom had to say about revamping my beauty essentials.